For a traditional bakery work using dough trays, the dough trays retarder, refrigerated cabinet or roll-in are necessary equipment to control accurately and precisely the right level of fermentation. 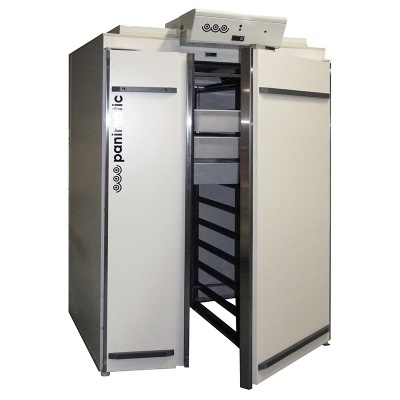 Opt for a refrigerated option from +2°C to +10°C (+35,6°F to +50°F) or the retarder proofer option from -10°C to +35°C (+14°F to +95°F) for a controlled fermentation over more than 60 hours. 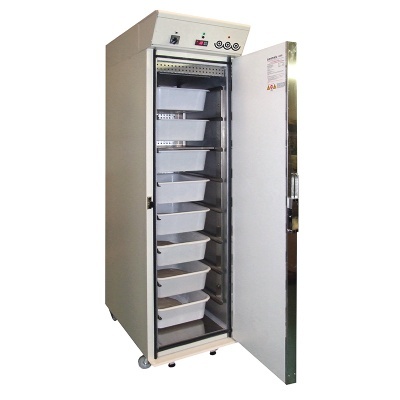 The walk-in conceived for dough trays trolleys is available in any dimensions and capacity tailored to fit your workspace.